Ice Skating in Swindon | When and Where Can It Be Done? Ice skating is one of the best things to do in Swindon, which can be enjoyed by toddlers, children and of course adults. Where can you go ice skating in Swindon? The only place you can go ice skating in Swindon is the Link Centre in West Swindon. The Link Centre is a leisure centre ran by Better, which offers over 10 activities, including trampolining, swimming and of course ice skating. 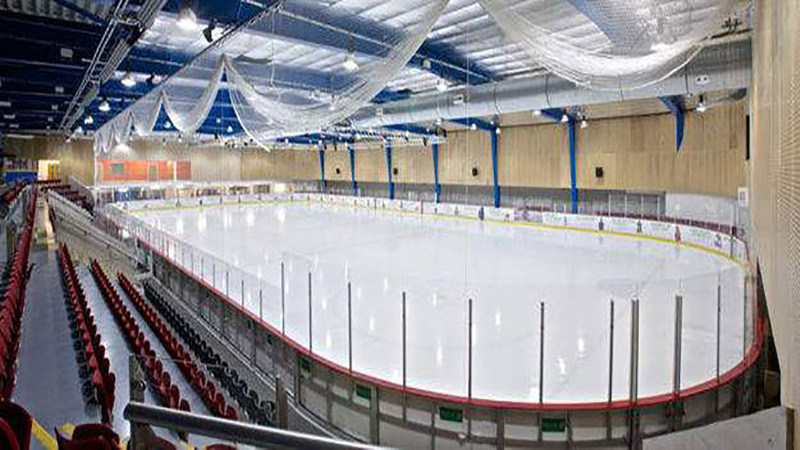 The Link Centre has an international sized ice rink and is home to the Swindon Wildcats Ice Hockey Team and Swindon Ice Figure Club. There is a seating capacity of over 1,000 at the ice rink, which is regularly sold out for ice hockey events. Ice skating at the Link Centre is perfect for a family day out and can be enjoyed by skaters of all ages and abilities. There is a Learn to Skate programme to help beginners and pro’s better their ice skating skills, which is the perfect introduction into skating for youngsters. If you are interesting in learning when you can either learn how to ice skate or when public sessions are available, you can view their timetable. For more information on ice skating prices, public skate timetables or the Learn to Skate programme visit the Link Centre’s Website. Happy ice skating in Swindon!